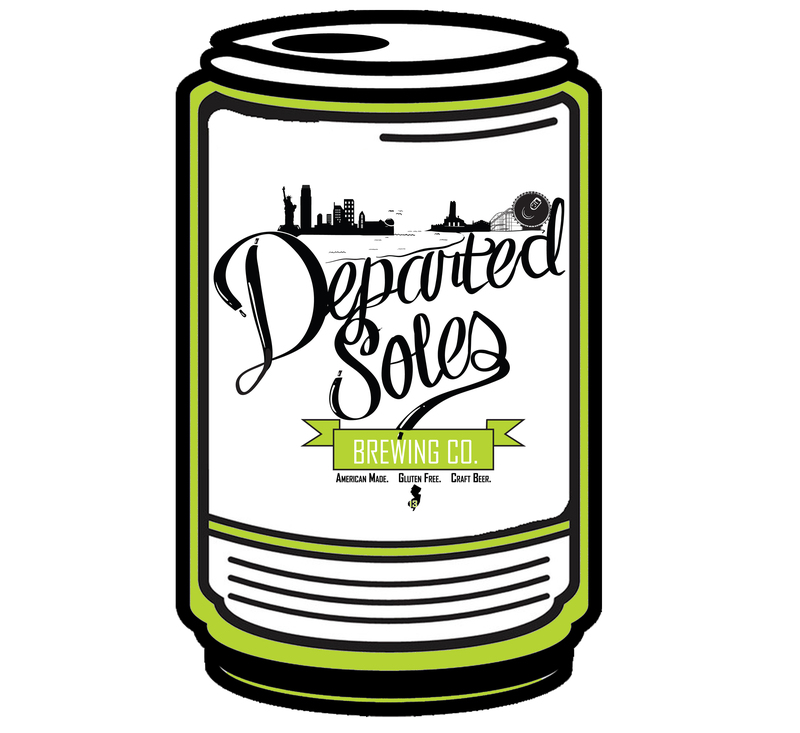 Departed Soles Brewery | A *NEW* Jersey Craft Brewery-in-planning ~ Bringing Gluten Free Beer to a pint near you soon! A *NEW* Jersey Craft Brewery-in-planning ~ Bringing Gluten Free Beer to a pint near you soon! 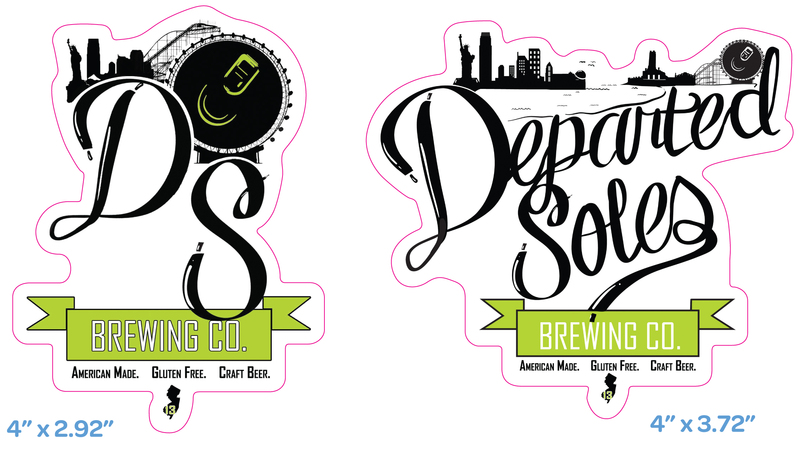 Departed Soles Brewing Co. Stickers! As a member of the Brewers Association, we have been given the opportunity to get some stickers made up for the brewery at an affordable cost to us, so we’re going ahead with it! We’ve come up with 3 designs… Let’s call them A, B, and 3, in our infinite wisdom. Let us know which one you think we should get, and tweet us @departedsoles so we know who you are… maybe we’ll send you one of the stickers! Gluten Free Craft Beer for New Jersey! Options A and B in our sticker poll! In my endeavors to find a property for the brewery, I have been fortunate enough to meet some great people. Many of you who are reading this probably found out about me through them, if I had to guess, so I am indebted to each and everyone that has helped me out along the way. The craft beer industry is unlike any other. It is not cut throat, and in fact, quite the opposite. Breweries are willing to share the equipment and even employees from time to time, as well as their ingredients and recipes if you ask them nicely enough. I have worked in various fields throughout my 27 (eek) years and none of them were as much fun and friendly as this one. That being said, as you can tell from many of my tweets or facebook posts, not everyone is that nice or understanding. There are SO MANY misconceptions about what a modern craft brewery is, and that presents such a huge uphill battle for those of us in the “planning” stage. Trust me, I am working harder than ever on the brewery, and hope to have some good news within the next couple of weeks, but am keeping my progress or status on the DL until then. Our Gluten Free IPA was a big winner a couple of months ago! We took home 1st place in the Specialty Category and 3rd Place Best in Show at the New York City Homebrewers Guild Homebrew Alley! Lots of cool prizes, but this was just an amazing even that put a lot of wind behind our sails and is really going to help establish credibility for Gluten Free Craft beer! And of course, let’s not forget the trimmed down version of it! It has been a long an arduous process, but we’ve finally settled on a real, professional logo to use for the brewery going forward. There is so much thought that went in to the naming of the brewery and what we are all about and we wanted to logo to convey that. Ditching the old design was hard to do, but necessary. The Craft Beer community is important to us, as is New Jersey – our home base (town yet to be decided)! We wanted a “New Jersey” skyline in the logo (what? we have a skyline? SURE WE DO!) and we worked hard to get something that conveyed everything great about the state… nature, the cityscapes, the Statue of Liberty, the shore, the music history (Asbury Park Convention Hall), and the boardwalk! We thought it was important to put the Jet Starr Roller coaster in there as well, as a sign of where New Jersey has been, where it is going, and our unity & strength in the face of adversity. Finally, there’s some hidden imagery in there that I just think is fun! Special thanks to Adam Cairns and Kevin Kulbacki for their work on this, as well as all the people who gave me feedback throughout the process! A lot of awesomeness to come from this fine group of gentlemen! One of the greatest things about the craft beer industry is the support you get from people already in it. People that have “been there, done that” love to talk about it and share their experiences. If you make a dedicated effort to really become a part of it, they’re willing to guide you, because everyone wants to see Craft Beer succeed. With that in mine, as a few before me have done, I plan to keep you updated on the developments of Departed Soles Brewery. I think that it would make a great reality tv show, personally, but I’m not sure how to film a pilot and put it in front of someone with network pull. A young, budding entrepreneur putting it all on the line to chase his dream, in memory of his best friend, in an industry that almost everyone embraces, with a goal of helping others who lost the ability to enjoy the product get it back again. Captivating, right? Anywho, what I am quickly learning is the trials and tribulations of starting a business, and I am just at square one! Not only do you need a great business plan and the ability to sell it to investors and otherwise supporters, you need to convince them that your idea is the bee’s knees. On top of that, you need to get the almighty township, county, state, and federal government to be okay with that you are doing. Not easy! My suggestion to you, on day one? Before you fall in love with an empty space that you can call your own (or the brewery’s own), talk to the city it is in. You’ll never get anywhere if they’re not supportive of your cause and it could lead to a lot of inaccurate data in your business plan if you are always relocating in the Word World. The way I see it, picking a location is sort of like the courtship process with a new girl. There are plenty of fish in the sea, and the most attractive fish may not want you, or may play hard to get… REALLY hard to get. Talking to the city can give you a great idea whether there is potential for a healthy, long term relationship between your business and them, which is something you need to be successful in this industry. Don’t be afraid to toss a red flag on a town. There is always one just across the city lines and people will travel for great beer and a great atmosphere to enjoy it in. If the town tells you that they won’t talk to you, only your company’s lawyer… or that you can open you place, but only on this block, where rents are ridiculous, rodents are everywhere, and rents are high… and it will take you at least a year to get the 3902 variances they’ll make up to get money from you… just hang up the phone and move on. Welcome to the (temporary) home of Departed Soles Brewery on the web. 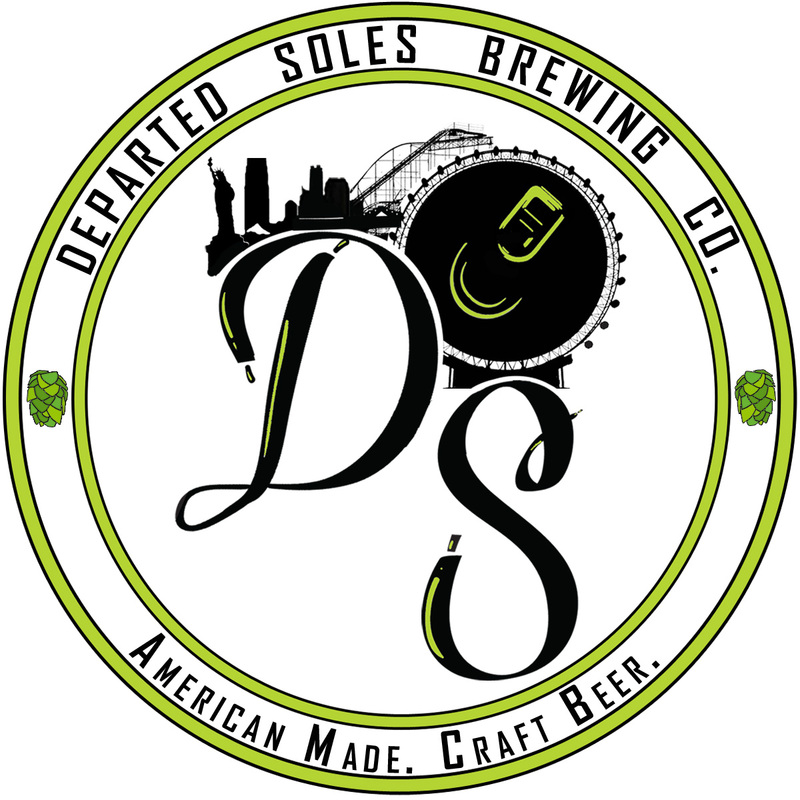 Our main website, http://www.departedsoles.com, will be up and running soon and I look forward to chatting with each and every one of you, as well as keeping you updated on all the happenings regarding New Jersey’s next great beer venture. My goal is to make a beer by the people, for the people. Toby Keith once said, “Whiskey for my men, beer for my horses.” I think that is a waste of a great beverage. So in the mean time… follow me on twitter (@DepartedSoles), “Like” me on facebook (www.facebook.com/departedsolesbrewery), send over your questions, and tell your friends! Particularly, let those with a gluten intolerance know that their life will no longer be void of crafty goodness in the near future!